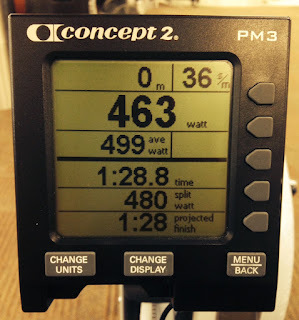 In the week leading up to posting this blog, I’ve completed row sessions of 44, 9 and 55 minutes totaling roughly 26,000m. I’m in a strength-building/foundation phase (weights) right now, so this is actually a low level of rowing volume. What I’m getting at is, I spend a decent amount of time on the rower. While I’m pretty focused on maintaining watts/pace or achieving some other metric during the row, I sometimes observe other “rowers” around me, and the form they use while “exercising”. Rowers and exercising are in quotes because what these people do when they get on the row machine many times shouldn’t be classified as actual exercise. There may be movement on their part, but there is a serious lack of intensity or reasonable form that would result in significant physical adaptations and quality results from their efforts. In the first video I’ve highlighted some common rowing errors that are explained in more detail below along with their hashtag descriptors. Typically this is a senior-aged individual, though some younger people can display this style. More than most of the population, seniors need to increase mobility, full-body strength/endurance and reduce impact (on joints) while exercising. All of these needs can be met with rowing, which is great, but not many seniors know how to row properly, or are shown correct technique by their trainers. Even if an individual starts off with a limited range of motion, over time they will be able to perform a complete rowing movement – it just takes practice. These people are interesting, as they often have a decent looking pull to start their row, but their return isn’t so hot – which eventually makes their subsequent pulls less than desirable. If your rowing effort is going to be a real full-body movement, you have to engage your anterior core (and hip flexors) to ‘pull’ your upper body back toward the starting position (see ‘hip hinge’ and ‘hip hinge w/ arm extension’ drill in the video). This also sets you up in “front” of your hips (similar to a quality Deadlift set-up position) instead of “behind” (think tailbone tucked under), poised to brace against your core and entire back for a stronger pull. Not to mention this will help increase your stroke rate, resulting in a faster overall pace. Although this individual looks as if they’re doing a ton of work, it’s all a mirage. There is no significant tension on the chain and very little of the chain is being used during each pull. It’s a flurry of movement with nothing really going on. These people are so elite that they forgot to, or feel like they can’t be bothered to finish their pull. The issue here is that even though the back musculature is initially engaged (see video for demo), that active muscle tension is lost toward the 2nd half of the pull (think quickly decelerating instead of continuing to accelerate). The back muscles are so much stronger than those of the forearms/wrists so why wouldn’t you want to use them throughout the whole movement? This is just an exaggerated example of the previous technique error. They have the right idea in that they want to get the most amount of chain used in each pull, but it’s the wrong execution. Extending the pull with a weak, rapidly decelerating motion is not the way to do it. The goal should be to use more power over the length of chain used in each stroke vs. just trying to get a longer stroke. A better strategy would be to inch closer to the flywheel housing (where the chain comes out of the enclosure) to add a few links to each stroke at the start of your pull, which would allow you to actually transfer real power to those extra chain links. Everything that’s wrong all in one movement, super-fun!! I encourage you to row and row a lot. But, do it right (refer to video #1 for a technique demo). Getting the form right is not all that difficult, in fact, you can watch a technique demo on the rowing machine! Besides improving your endurance level, there will be a significant increase in your overall ability to do work in other areas of your training (work capacity). Results from my rowing efforts seem to transfer to other aspects of training better than doing the elliptical, riding the stationary bike or running on the treadmill. While these are acceptable modes of exercise, they lack a few key components for direct exercise transfer - the most important being COM displacement. On a bike (treadmill or elliptical) your core (or Center of Mass) does not move at all. 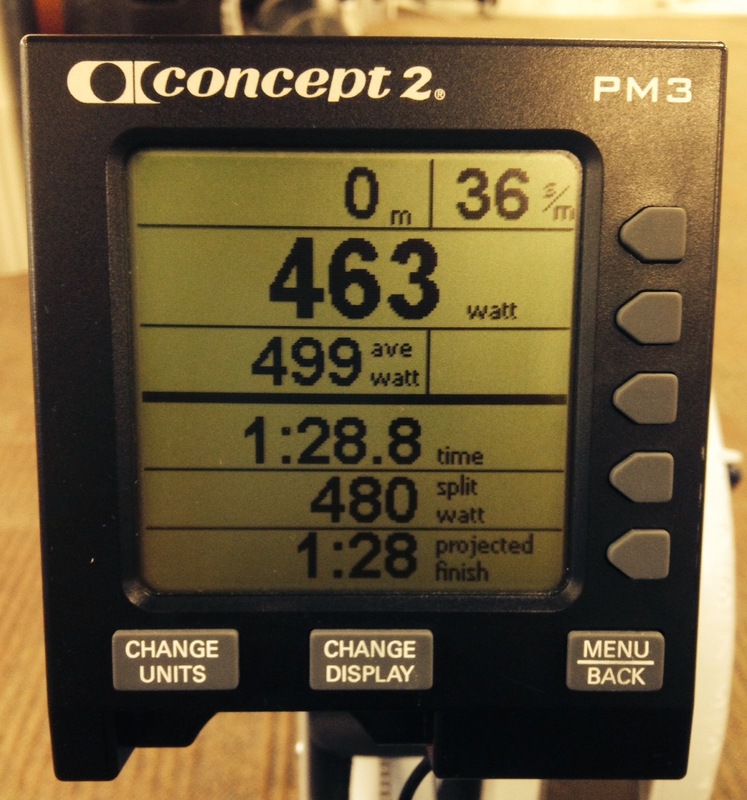 When on the rower, your COM moves (a lot) with every stroke. This style of movement is called “triple extension” (at the ankle, knee and hip). It’s generally accepted that triple extension movements are better for improving an athlete’s speed, power and strength and have a greater physiological impact on the body than other exercise selections. 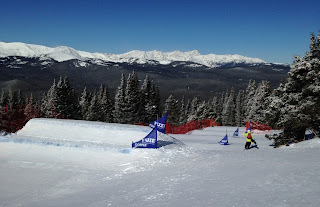 Consider this example, “Boardercross Coach A” has his athletes do x6, 1:30 bike intervals as a “test” for their race day readiness (depending on field size, you can experience 2 time trials, 3 heats and a finals on a given race day). This seems like a decent assessment for competition readiness as the time of the work required matches that of a race, right? Unfortunately for these athletes the answer is no. Why? While the time of each interval matches the longest race they might experience, the work during each interval doesn’t come close to that of what they’ll encounter on race day in terms of full-body intensity or similar movement patterns. 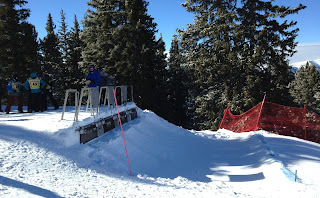 In a Boardercross Race you're making full and partial triple extension movements constantly as you negotiate course features (see video #2 to get an idea of the kind of obstacles that are on course). Your quickness and agility, along with power, determines how well you can pump and/or absorb obstacles, which cannot be accomplished without triple extension movements. *Quick side note – also a good reason for training the full Olympic Lifts if you participate in Snowsports* Is this happening on the bike? No. You’re in a seated position, just spinning your legs without any COM motion at all. Let’s look at “Boardercross Coach B”. His athletes do two different tests (at different times of their training schedule) – Test #1 – x10, 300m row intervals and Test #2 – x5, 500m row intervals (a decent 300m row would be completed in the low to mid-50 second range, and as far as a 500m goes, mid-1:30’s is pretty good). 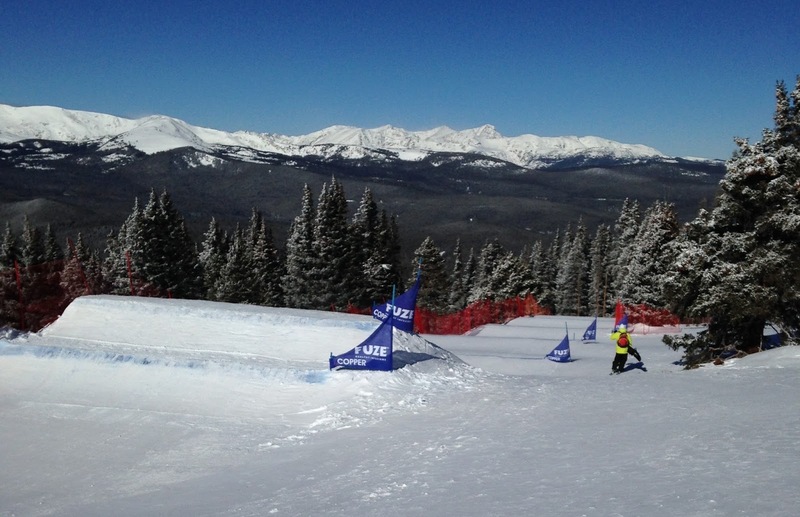 These times represent the lowest and longest races an athlete might experience so they’re showing a varied range of readiness with these segments. Also the movements (triple extension) match the actual movement patterns used in the race. In addition, the work required (intensity) in completing the interval training sessions much more closely mimic that of what the athlete will go through on race day. Which test/training is better? Obviously the rowing example wins here. Coach B’s athletes will not only get a better assessment of their race day readiness but also their overall fitness level and ability to do work (work capacity) for future training segments. Besides demonstrating appropriate form and following a quality rowing program (and rowing a lot), how can you get better at rowing? Lift weights (get stronger - which is often the answer to many ‘how do I get better’ questions from athletes). Deadlifts, Olympic lifts, Squats, Bent Over Rows, Low Pull Rows, Rear Delt, Arms and Core Work, etc. – improving your overall body strength, back and core with these lifts will help you become a more proficient (and faster) rower. Feel free to post your times and weights used when you do this workout. Believe in me though; there was quite a long time where I did nothing like rowing. About the to begin year through my very first serious rowing program, I did not anticipate the water rowing machine portions associated with my training.